Cherry is one of the popular foods to eat during Christmas. It looks beautiful, red, attractive and delicious. Cherries can make Christmas lunch and dinner a colourful and cheerful occasion. The Chinese have a song about cherries; it is a delicious fruit but a difficult tree to plant. But did you know about the health benefits of cherry? Arthritis is a common disease treated in our clinic, and in many countries around the world. It is even more common in cold and damp environments. In Chinese medicine, arthritis is called ‘bi syndrome’. Many asian and traditional Chinese medicine books discuss the causes, treatment and prevention of arthritis. In China today, many traditional Chinese medicine hospitals have specialist departments that successfully treat arthritis. Chinese medicine considers the causes of arthritis mainly being associated with exterior cold, wind, dampness and heat pathogenic factors. These factors attack the body and block the channels, and affect qi and blood circulation in the body. Finally, these external factors reach and attack the bones. Lack of circulation in the joints results in arthritis. Wind, cold and dampness are the most common causes of arthritis. Many people’s symptoms become worse in certain seasons such as winter, on rainy or windy days. Some people can even feel the weather changing one or two days before because of the worsening of their symptoms. Chinese medicine believes our body is greatly influenced by the weather and environment, which can improve or worsen the symptoms of many diseases. Arthritis is one of them. The main symptoms of arthritis affect the joints, tendons and muscle, such as: pain, stiffness and swelling of the joints. Severe arthritis can also make the joints crooked. The muscles around the joints can also ache, feel heavy, numb and painful. Depending on the cause of arthritis, the joints can change colour to look bruised/purple, pale or red. They can feel cold or burning and hot. Chinese medicine uses tongue and pulse diagnosis, together with a collection of physical symptoms to diagnose the exact cause of arthritis for each individual case and give the correct treatment, using acupuncture or traditional Chinese herbs or tablets. In my clinic we have many cases where arthritic pain can be greatly reduced after one or two courses of acupuncture, because we diagnose and treat the correct cause of the condition using corresponding channels and points. In some cases the pain completely disappears after a few sessions. 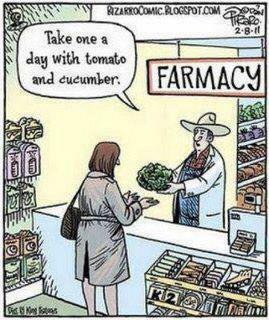 During treatment I often tell my clients about what kinds of foods and lifestyle can help with recovery and prevention of arthritis. I think lifestyle and diet is also very important during treatment. Cherry is one of the foods you can have during arthritis treatment. However, cherry is not suitable for those with arthritis caused by heat, with symptoms of joint pain, swelling with redness and burning sensation. The traditional Chinese medicine diet therapy text, Ming Yi Bie Lu, mentions that cherry tastes sweet and is warm in character. It can help to expel wind and dampness from the body, and improve circulation. It is especially suitable for people with cold symptoms of arthritis as mentioned above. 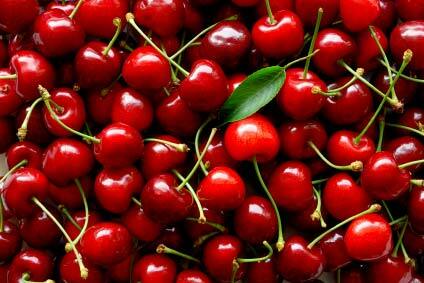 The book also mentions eating cherry can help the arms and legs to recover from stroke because it helps circulation. Another traditional Chinese medicine text, Zhen Nan Ben Cao, records that cherry can increase the original essence of the body (energy and qi). It is suitable to eat cherry following a long illness or after an operation, after labour, or if experiencing general weakness, shortness of breath, tiredness, cold hands, cold feet or aversion to cold. How much cherry should you eat? A handful of cherries can be eaten three times a week. Please don’t eat cherries if your arthritis is associated with red joints and hot sensation. If you don’t understand your body’s constitution please ask an experienced traditional Chinese medicine practitioner before eating cherries.